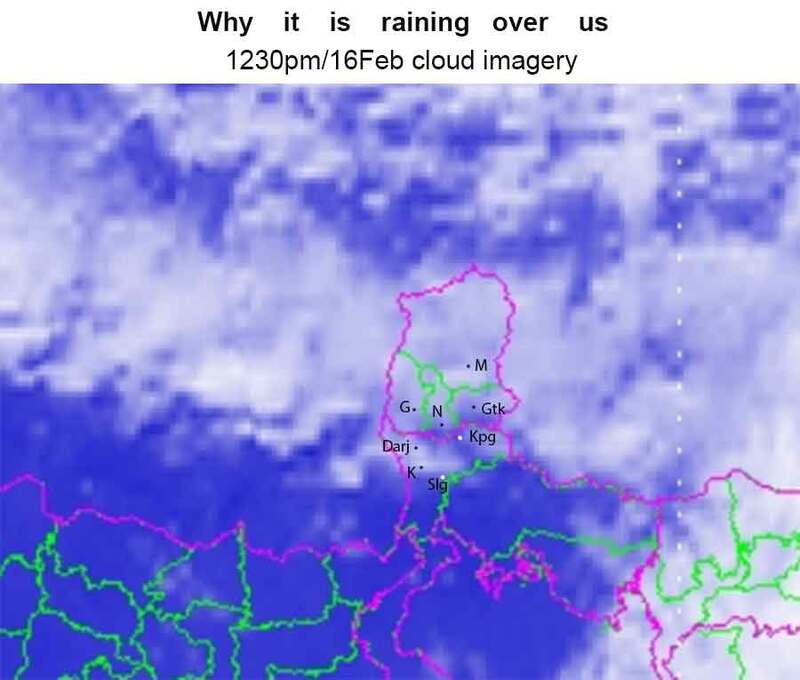 Regret Darjeeling rainfall data was not available. 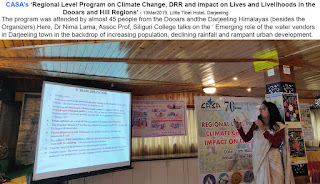 · Critical water security problems in the entire Dooars and mountain regions. 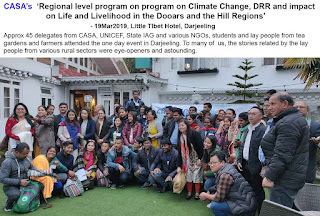 · Food Security in the mountains almost non-existent with the rural youth not interested in farming due to low yield, crop disease, water shortage, human- wildlife conflict in the backdrop of climate change. 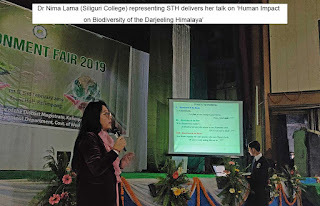 · Total focus on cash crops in mountain agriculture has led to a decline in cultivation of traditional crops such as millet, barley and even vegetables. 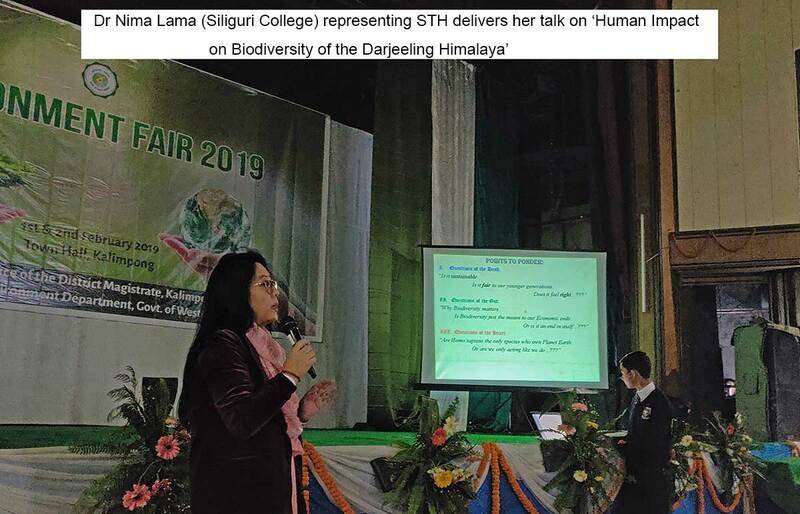 · Decline in cash crops in the mountains: traditional crops such as ginger, oranges and even cardamom have almost disappeared with newer crops such as kiwi fruit, coffee likely to replace them. The moot question is when? –with the most important functionaries ie the relevant government departments being obsessed with other issues. The only viable cash crop in the mountains being broomsticks today. 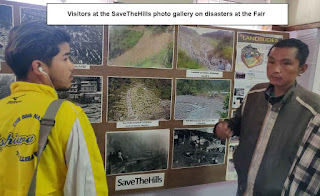 · While MNREGA project generates some employment for families, it has totally failed in promoting skills among the rural hill folk. 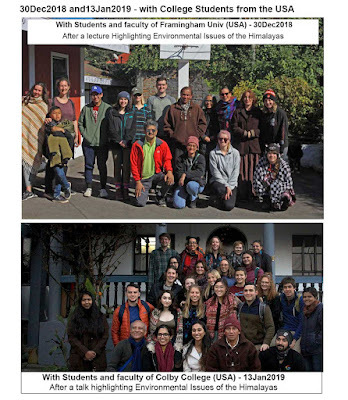 · Tea production and the quality of tea has declined both in the Dooars and Darjeeling hills due to migration, triggered by low wages and tea garden companies slowly withdrawing benefits such as uniforms, homesteads, subsidized kerosene and power bills. 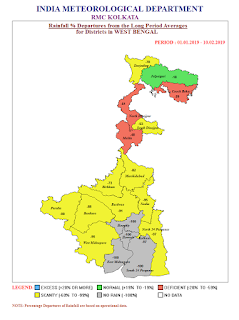 · Large scale unemployment in the Dooars belt leading again to migration and human trafficking by organized gangs. 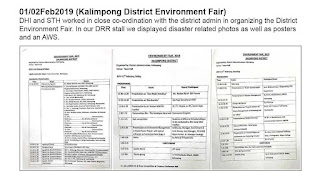 · Regular flooding with no little or no warning in the Alipur Duar region due to rain in the mountains of Bhutan which charges the Torsa and other rivers quickly and suddenly. · Rampant child labour in the Dooars with children working in factories in Bhutan on very low wages (Rs 50/day). · Extreme and erratic rainfall and temperatures compounding problems. · Emerging and powerful role of the water vendor in Darjeeling town in a scenario where the burgeoning population, declining rainfall has resulted in demand for water far outstripping supply. Little or no heed however, being paid to the quality of water being supplied. 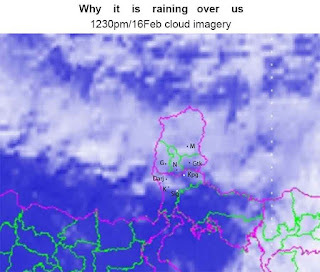 Placed above are IR images of clouding over the Darjeeling-Sikkim Himalaya of time 0530hrs and 1230hrs. The clouding is due to one of a series of WDs which has been affecting the western Himalaya first, then sweeping east towards us. 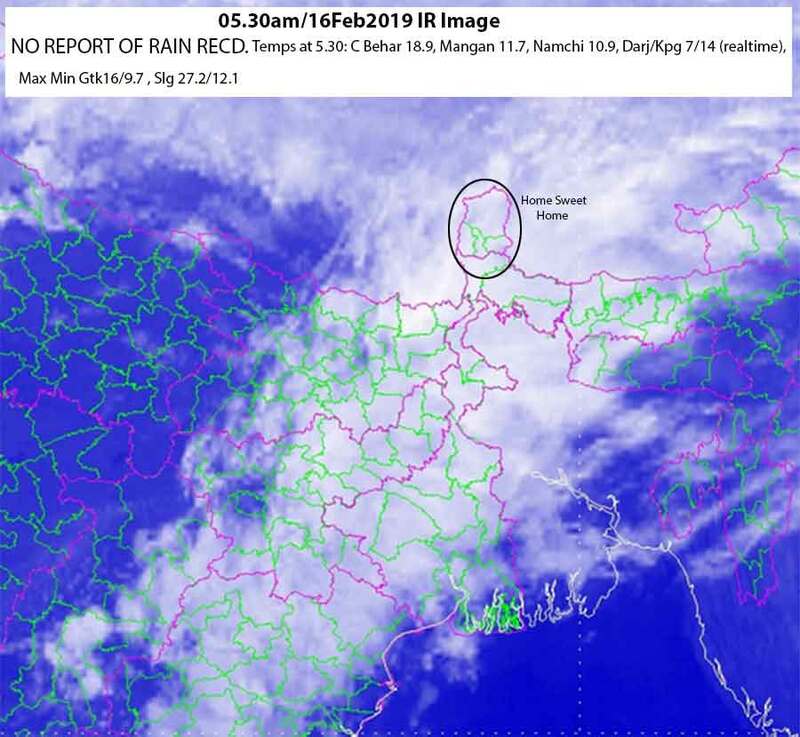 In Kalimpong there was continuous thunder and lightning from around 1330hrs till 1830hrs though the rainfall was only light. 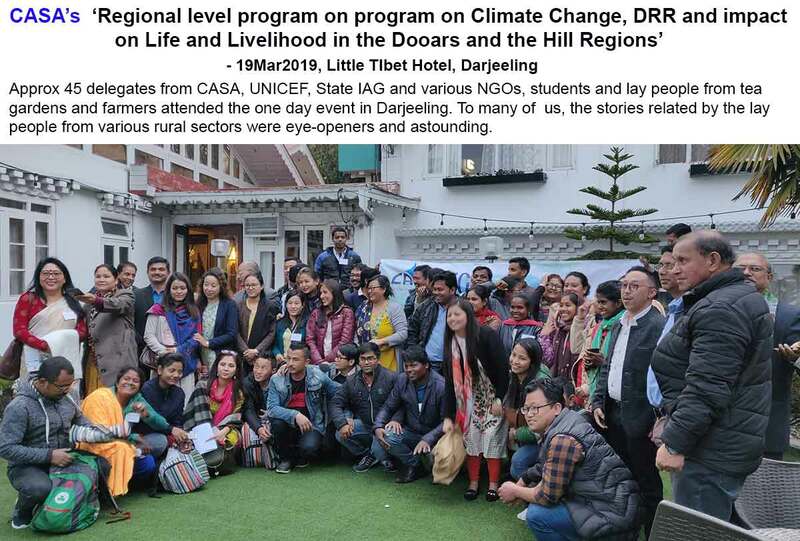 Darjeeling on the other hand was swathed in a blanket of hail. Read more here. 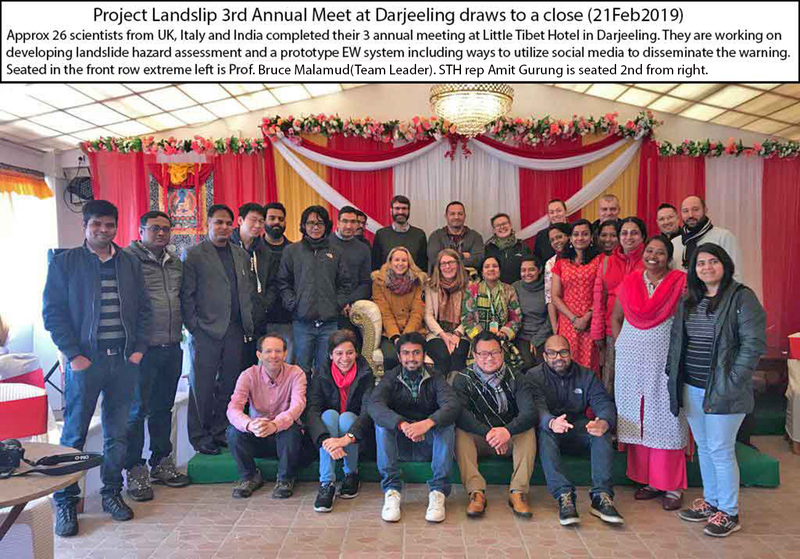 Physical scientists, engineers and social scientists from nine organisations in the UK, Italy and India from the UK NERC/DFID funded project LANDSLIP will be in Darjeeling from 19-21 February for their annual consortium meeting. 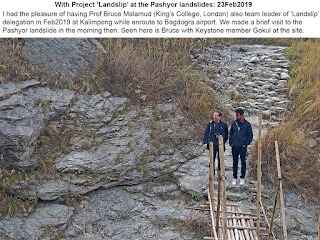 LANDSLIP. LANDSLIP (LANDSLIde multi-hazard assessment, Preparedness and early warning in South Asia) is now beginning its third year, is developing landslide hazard assessment and a prototype early warning systems in two study areas (Darjeeling/East Sikkim and Nilgiris) including the best means of disseminating this information to those who need it in India. 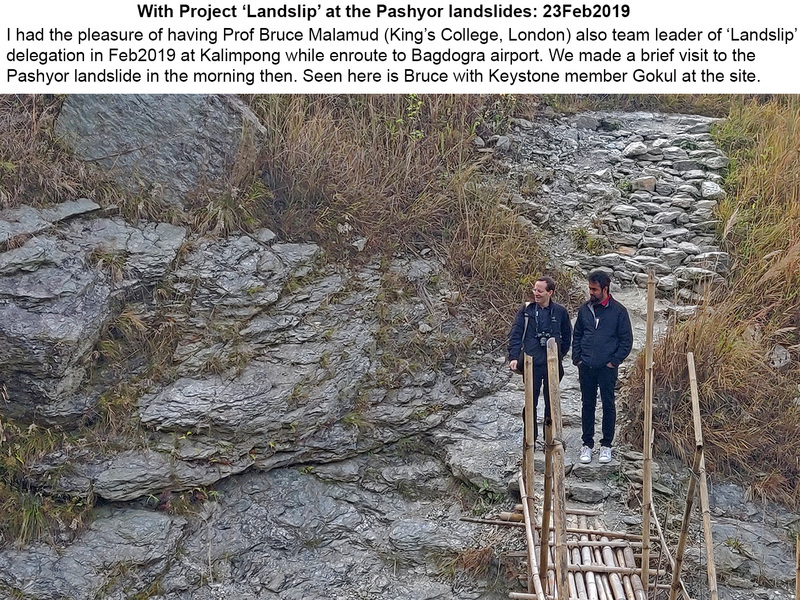 Some of the methodologies developed through this project will be replicable to the landslide-prone areas elsewhere in India and South Asia. The project consortium of 34 scientists and engineers is co-led by Dr Helen Reeves from the British Geological Survey (BGS) and Professor Bruce Malamud from King’s College London (KCL) with the other project partners from the Amrita University, Consiglio Nazionale delle Ricerche (Research Institute for Geo-Hydrological Protection), the Geological Survey of India (GSI), Newcastle University, UK Met Office, Practical Action Consulting India and Practical Action Consulting UK. 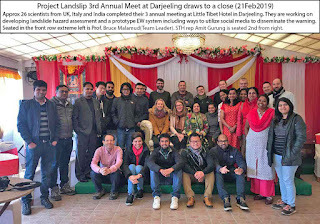 Around 24 of the LANDSLIP experts from India, UK and Italy will be in Darjeeling this week for an internal conference meeting, along with a subset of the group meeting key Darjeeling district disaster management officers. 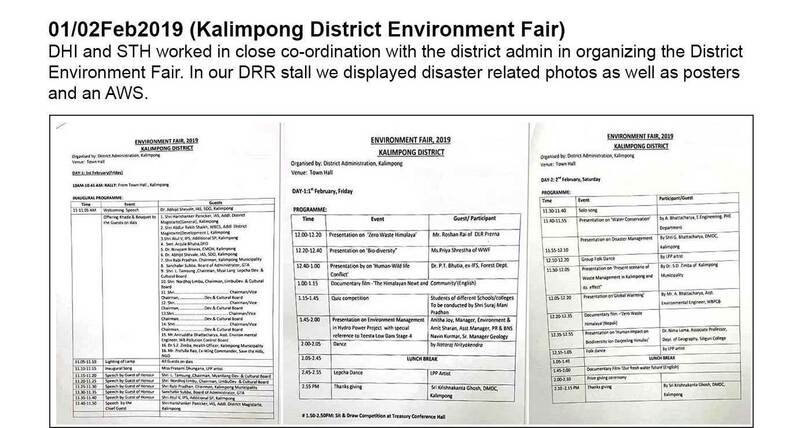 We regret not being able to publish these accounts of our activities in time. 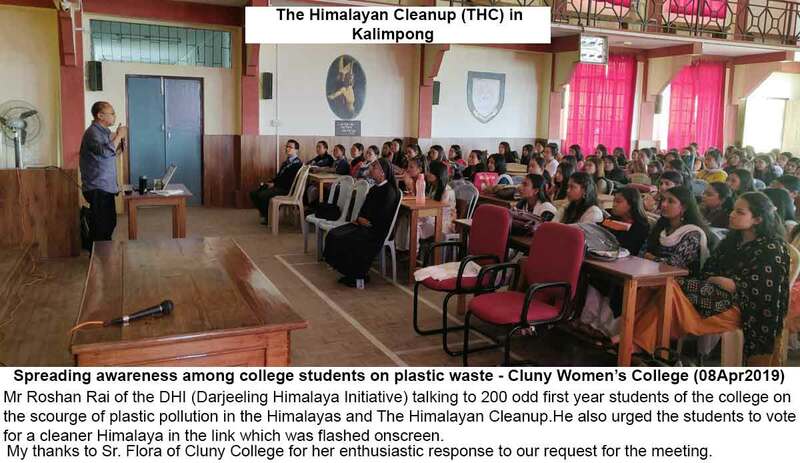 As explained elsewhere in the blog, it was only because we, today use other social media platforms which reach out more effectively and expeditiously to the community at large. 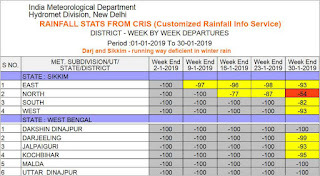 While updating our activities in 2018, I am glad to inform you that we have also updated & published RAINFALL RECORDS for some major towns in the Darjeeling-Sikkim for the whole of 2018. Please feel free to use all data/photos in this blog freely and without asking for our consent. 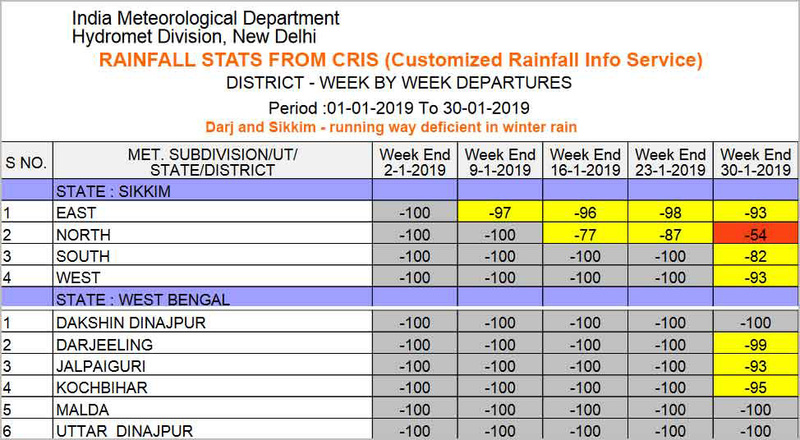 With regard to rainfall, quite clearly the Darjeeling-Sikkim Himalaya (except for North Sikkim) went deficient in rainfall in 2018 and as such we had no major landslide activity in this region. 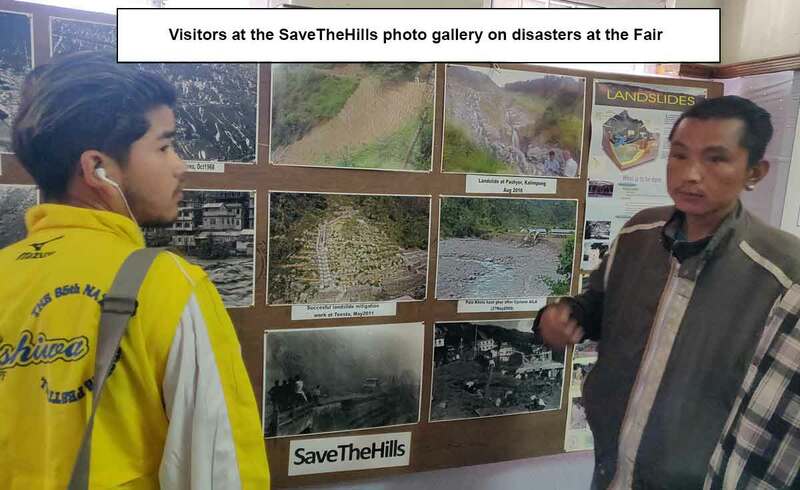 Hence, there is no reference to occurrence of fresh landslides in 2018 in this blog.